Uplands Cheese Company is in Dodgeville, Wisconsin, and currently just produces two cheeses. Both are excellent, created from milk from Uplands’ herd that feeds in rotation on the southwestern Wisconsin pastures just outside the Uplands factory. Andy Hatch is head cheesemaker at Uplands and has helped the company win many awards…and expand its distribution to international destinations. Pleasant Ridge Reserve is an outstanding Uplands Cheese product. Hook’s Cheese is located in Mineral Point, Wisconsin. It has a long tradition of artisan cheese production, and, before that, conventional cheese production. Hook’s makes many varieties of specialty cheese, including several outstanding Blue cheeses. It also produces a line of traditional, aged Cheddar cheeses. Hook’s Eight-Year Aged Cheddar is an outstanding Hook’s Cheese product. Cheesemaker Marieke Penterman is the driving, cheesemaking force behind Holland’s Family Cheese in Thorp, Wisconsin. 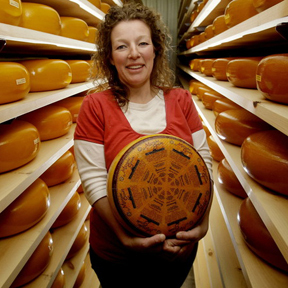 She came to the U.S. with her husband from the Netherlands, and has won many awards for her traditional Gouda cheeses. Today, her cheesemakers create a wide variety of flavored Gouda cheeses. Marieke Foenegreek Gouda is an outstanding Holland’s Family Cheese product. Landmark Creamery is located in Albany, Wisconsin. 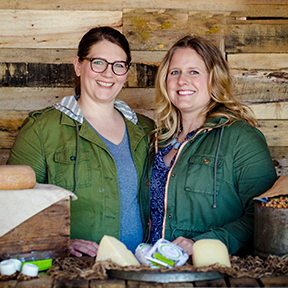 Cheesemaker Anna Landmark teams with promoter Anna Thomas-Bates to drive this business. They make a variety of cheeses, including sheep milk cheese delights, such as Petite Nuage. Pecora Nocciola is an outstanding Landmark Creamery product. 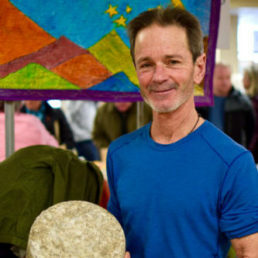 Chris Roelli, now one of Wisconsin’s distinguished Master Cheesemakers, crafts small batches of award winning original recipe cheeses such as Dunbarton Blue, Red Rock and Little Mountain. Roelli is also known for his fresh cheddar curds, cellar-aged cheddars, Farmhouse Colby-style, Monterey Jack, Goudse Kaas, Havarti and Cheshire inspired cheese. Red Rock is an outstanding Roelli Cheese product. The Chalet Cheese Cooperative in Monroe, Wisconsin, has been in operation since 1885, and is the only place in the U.S. that still makes Limburger cheese. Master Cheesemaker Myron Olson uses only milk from the Cooperative’s 21 member farms in Green County, from 70% Holstein and 30% Brown Swiss cows. He believes the limestone-filtered water of south-central Wisconsin helps make the best-quality cheese to be found anywhere in the world. Traditional Limburger is an outstanding Chalet Cheese Cooperative product. 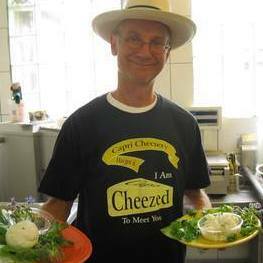 Bruce Workman is a Wisconsin Master Cheese Maker and owner of the Edelweiss Creamery. 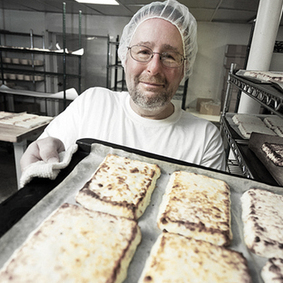 At Edelweiss Creamery Bruce makes artisan cheese which means in small batches. His signature cheese is Emmentaler which is made in a traditional copper vat. His passion for the craft grew from a young age, working at the local creamery before and after school. 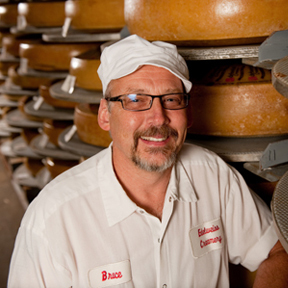 Now, Bruce holds 11 titles as a Master Cheese Maker, the most in the state of Wisconsin. Emmentaler is an outstanding Edelweiss Creamery product. Bleu Mont Bandaged Cheddar is an outstanding Bleu Mont Dairy product. 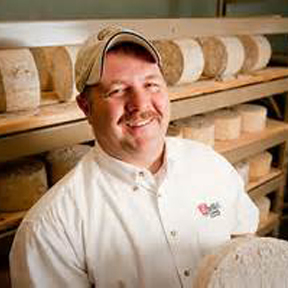 Wisconsin Master Cheesemaker Joe Widmer of Widmer’s Cheese Cellars is a third generation cheesemaker. He’s a fine artist whose medium is cheese. 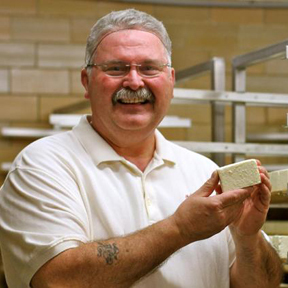 Joe is one of only 45 Wisconsin Master Cheesemakers who have passed this state’s rigorous standards . . . much like a Master Sommelier program. 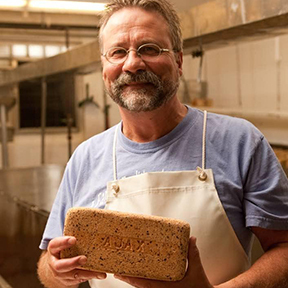 I’ll be serving Joe’s famous Aged Brick Cheese, a washed rind cheese in the shape of a brick. It’s creamy, nutty with big flavor and a sweet finish. 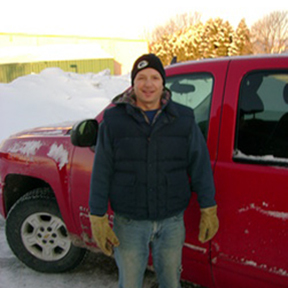 Joe Burns runs a family owned company called Wisconsin’s Own Brunkow Cheese that has been open since 1899. They are a company that sources milk from small neighboring dairies to make artisanal cheeses. Brunkow Cheese make all of their cheeses with the bare minimum of main ingredients: milk, salt, and rennet. 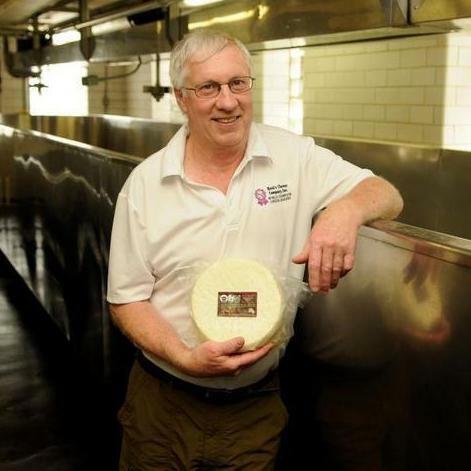 Certified Master Cheesemaker Sid Cook has won more top national and international awards than any other cheesemaker in North America. 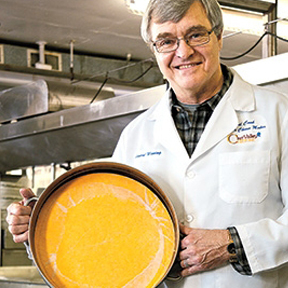 As a fourth-generation cheesemaker, he received his cheesemaking license when he was 16, and now owns and operates four cheese plants and eight retail cheese stores in Wisconsin. LaClare Farms is located in Malone, Wisconsin. It is well-known for its goat herds, and goat milk products, including cheese. 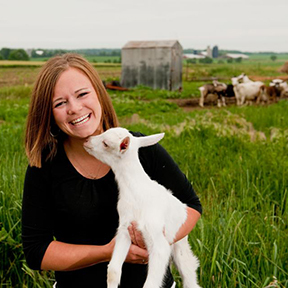 Katie (Hedrich) Fuhrmann is head cheesemaker at the family-owned business. Her hard, goat milk cheese, Evalon, won the U.S. Championship Cheese Contest in 2011, beating many other well-known cow milk cheeses. Evalon is an outstanding LaClare Farms product. 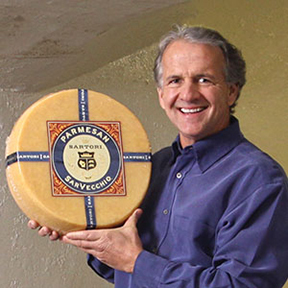 Jim Sartori is the third-generation owner and CEO of Sartori, a family owned company specializing in artisan, award-winning Wisconsin cheese. For three decades, Jim has led Sartori Cheese through a tremendous era of growth and opportunity — investing in operational expansions and developing Sartori into a premium, retail brand that is available in more than 40 countries. 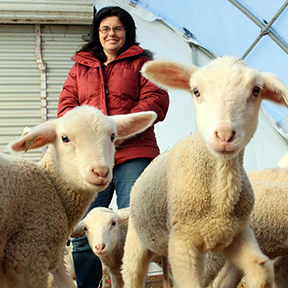 According to Felix Thalhammer – Capri Creamery, located in the heart of Wisconsin’s Driftless Area, is the home of Capri Cheese, the first organic goat cheese factory in Wisconsin. The raw milk for these cheeses is sourced from Capri Creamery’s own herd of pasture-raised Nubian goats, as well as from naturally raised goats at often organic Amish dairy farms in the Sparta, Tomah and Elroy areas. 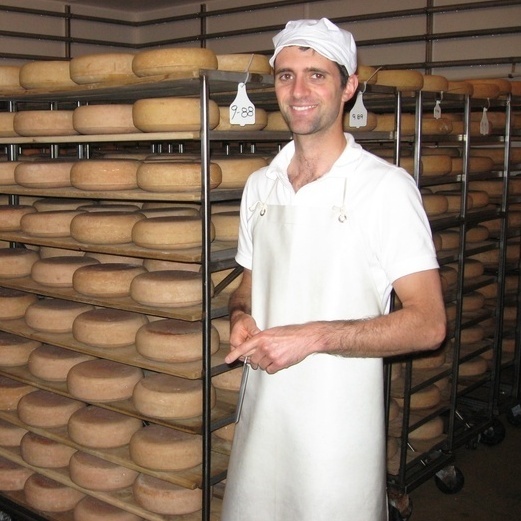 The entire cheesemaking and aging processes, however, are done by Capri Creamery owner Felix Thalhammer right on the farm. Farmstead cheesemaker Brenda Jensen and her husband, Dean, are increasing their flock in an attempt to make award-winning sheep’s milk cheeses year-round (Brenda’s Ocooch Mountain, a six-month aged nutty tomme was recently named to the U.S. Championship Cheese Contest’s top 16 cheeses, out of 1,702 entries). Typically, their sheep would have been shorn in early March, but because Wisconsin seems to have forgotten it’s spring, they held off shearing until warmer weather.